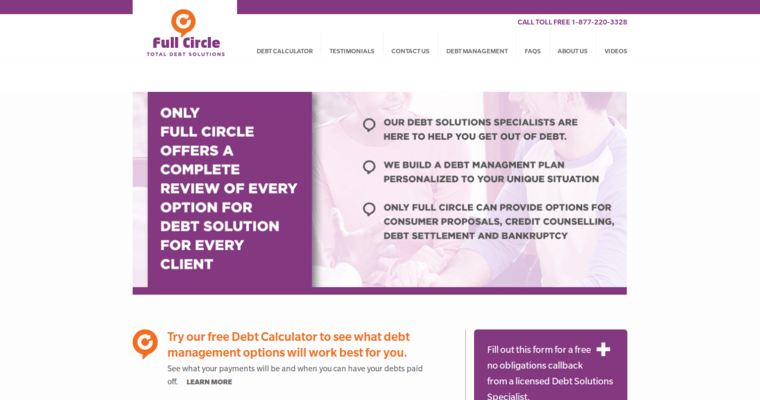 Full Circle offers clients a full comprehensive plan in approaching debt management. Instead of offering just one service, the client learns about different debt solutions and works with a Full Circle specialist to create an actionable plan that will result in the be solution for them. 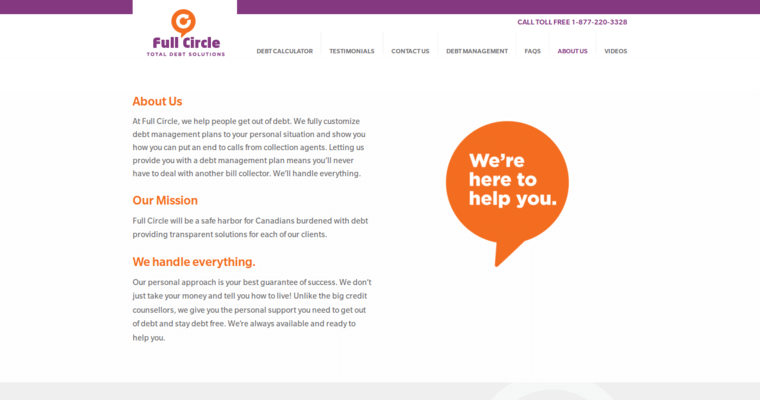 Full Circle values empowering the client with financial literacy by offering financial planning and education. Depending on the client's needs, if bankruptcy is an option, Full Circle also assists clients in the filing as well as support you through the process. 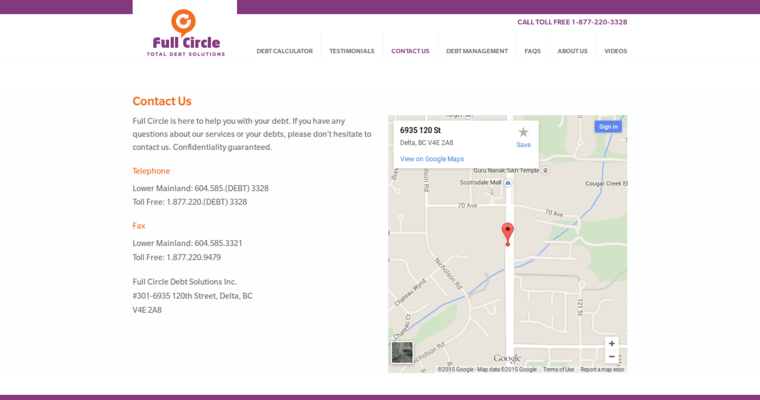 Although it is difficult to deal with the intricacies of debt management, Full Circle is there to assist you in regaining relief from debt.